The median home value in Blue Springs, MO is $210,000. This is higher than the county median home value of $109,500. The national median home value is $185,800. The average price of homes sold in Blue Springs, MO is $210,000. Approximately 65.43% of Blue Springs homes are owned, compared to 30.83% rented, while 3.75% are vacant. 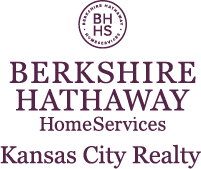 Blue Springs real estate listings include condos, townhomes, and single family homes for sale. Commercial properties are also available. If you see a property you’re interested in, contact a Blue Springs real estate agent to arrange a tour today! Learn more about Blue Springs Real Estate. Trimmers & Painters are working in the property now. Schedule a look at this one today! It is far enough along that you will see why this is a TruMark Homes best seller. Photo's uploaded are of another completed Kyle II. You will not find a larger Great Room/Kitchen/Dining Area in the TruMark Home Plans than this one. Gorgeous details! Even the walk in pantry has a granite appliance shelf. Master Bath has his/her vanities, custom tiled shower and a stand alone Hollywood tub. Beautiful home throughout! Fantastic Buy For This Open 4 Bdrm Atrium Split On A Large Corner Lot, Living Rm + Daylight Family Rm W/Fpl, Spacious Kit/Din W/Plenty Of Cabinets & Pantry, Mstr Bdrm W/Mstr Bath Dbl Sinks, Whpl, Wlk-In Clst & Skylight, Bdrm Lvl Laudry Rm, 4th Bdrm On 3rd Lvl, Sub-Basement For Storage, Dbl Garage, Deck & Newer Roof. Home Needs Some Updating Including Paint & Carpet. Selling In Its Present Condition W/Out Any Repairs. Great For Investor or Conventional Buyer Wanting To Do Some Updating. Home is priced accordingly!! Blue Springs doesnt get much more affordable than this gorgeous 4 bedroom 4 bath home located in well desired Waterfield North Subdivision. Open concept kitchen with a great view of the private backyard featuring a playhouse, over sized deck and lush green grass blanketing this space perfect for serving BBQ to your guest. The living room is equipped a wood/gas burning fireplace and large windows sure to fill the room with light. Master bedroom features access to private full bath and large walk in closet. Don't miss this well built, single-owner home with updating made simple thanks to well maintained original woodwork. The house is a stone's throw from beautiful Lake Tapawingo & freshly renovated Old Mill Park, w/privacy on cul-de-sac in one way in/out neighborhood. Generous backyard adjacent to private church property. Ample storage with built-ins throughout, including large off-kitchen laundry. Quaint but spacious with vaulted ceilings. Brick fireplace on both floors; basement prepped for easy customizing finish. Highly Rated Blue Springs School District. Fresh Exterior paint April 2019 , Roof only about 3 years old (2016), Leaf guard on gutters, Carpets just cleaned please remove your shoes. Newer windows/Bay window in ft. Tile floors in kitchen walks out to big Chain link fenced back yard with private patio. Furnace appx 8 years, HWH appx 2019, Dishwasher 4 years old. 2nd bdrm is lined with decorative shelves for display. Skylight in Bathroom with vaulted ceiling. Finished basement with full Bathroom. Move in Ready! All new paint inside and out! Newer carpet, lights, outlets and switches, & mini-blinds. New roof installed in 2016. New windows installed in 2017 and all new gutters installed 04-16-19!! Kitchen includes stove and dishwasher that are less than 2 years old. Great home ready for a new family! Beautiful 4-bedroom, 3 1/2 bath home is move-in ready! Wonderful subdivision built around a private lake, it includes a community pool, community building and play area. Master suite and laundry are on the first floor for easy living. New gutters, sprinkler system and granite and stone recently are recent updates. Located on a cul-de-sac with a small, easily maintained front yard and spacious, private fenced back yard. Are you ready to move? This home is waiting for it's new owner! Enjoy your morning beverage on the deck and bird watch while taking in the peaceful wooded view. At night sit by the fire pit and enjoy smores while discussing the day's events! This home is a must see! Are you a handy person or do it yourselfer? The basement has a must see area for you to work on DIY projects with natural light! Walk into your beautiful, airy, newly remodeled home. New paint inside and out. New carpet, ceiling fan. Kitchen new counter top, sink, back splash, faucet. New wood-like laminate floor in living room, dining room and hallway. MAIN FLOOR LAUNDRY. Master bedroom with own private bathroom. Lower daylight finished basement with half bath. All new electrical panel box and wiring throughout. New wide gutters and downspouts.Newer HVAC with full Warranty. ALL ELECTRIC. Large corner lot, fenced. Spacious Ranch, Kitchen has island w/ granite counters and a walk-in pantry. Hand scraped wood floors in the foyer, kitchen, pantry, mudroom and dining room. Laundry room off the kitchen w/ double doors. Master bath includes tiled floor, dbl vanity & walk-in closet. Two bedrooms on main w/ full bath. Newly finished lower level w/ daylight windows & half bath. 12 x 12 Trek Deck that walks out to a four foot privacy fenced backyard. This is a must see and only 3 years old. Great house in Lees Summit schools. Motivated! Priced to sell! So many possibilities 5BR, 3BA, Cul-de-Sac, fenced yard w/ storage shed. Room for a larger family & affordable at this price. Two living areas, with one on the main floor and one in the lower level. Laundry on the main level. All this property needs is a new owners personal touches. Outstanding neighborhood and great schools, welcome to Blue Springs. Newer HVAC system 2018. All appliances staying with the property. Some updating done in 2017. Perfect for growing family. Bring an offer! Don't miss this updated split level home in the award-winning Blue Springs School District. Seller offering to pay up to $1,000 in buyer closing cost and providing a full home warranty! All stainless steel appliances stay. New windows and maintenance free siding make this home very energy efficient! Updated finishes with wood floors and farm color interior paint. Walk-out basement with 1/2 bath that can easily be converted to a full bath. Large fenced yard with patio and addt'l flat deck for entertaining! Quaint completely update home nestled in the heart of Blue Springs with new roof and windows, sun room off the kitchen (which can also be used as a large dining room), finished basement, an attached green house and a detached shed/workshop (14x14) !! Let your GREEN THUMB flourish! Kitchen updates include new granite counter tops, tile backsplash, stainless appliances, luxury vinyl floor planks. Both baths updated like new. New carpet and paint throughout. BONUS in the laundry room- newer washer/dryer included!!! Want a new home? Why go through all the hassle and stress of building when you can have this custom built Energy Star 3.0 home in coveted Stone Canyon now! Open floor plan w/high ceilings, fireplace, granite counters, all drawers and cabinets are soft close, all inside doors are 36" with several space saving pocket doors. Walk-out lower level has been quality finished for separate living quarters, if needed. Extra insulation between floors. Covered deck and patio for entertaining. This is a "Must See" home. Welcome to the "Watchparty". A immaculate 5 TRUE bedroom reverse 1.5 story with a FULL finished walkout basement! Step into the open living space and be greeted by high-end finishes. African granite flows over the stunning kitchen island and cabinets. Stainless steel appliances, lots of windows shed light into this huge 3,500 sq ft home. Incredible deck perfect for grilling at your next party.